"danger 999,000 ohms. 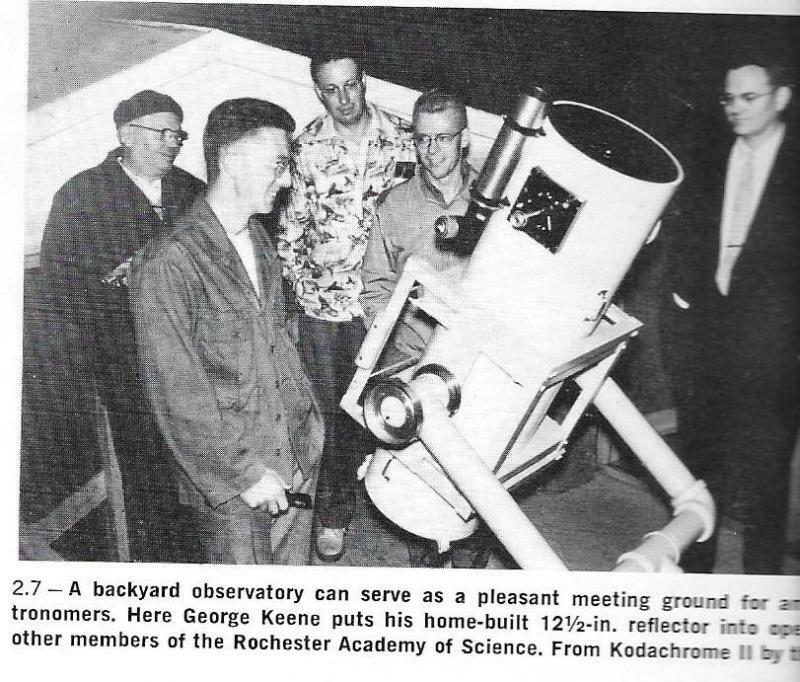 enter at our own risk"
Here is a photo of George Keene's 12.5 inch reflector from the 1965 edition of Paul's book on page 34. Edited by John Rogers, 16 May 2018 - 08:02 PM. 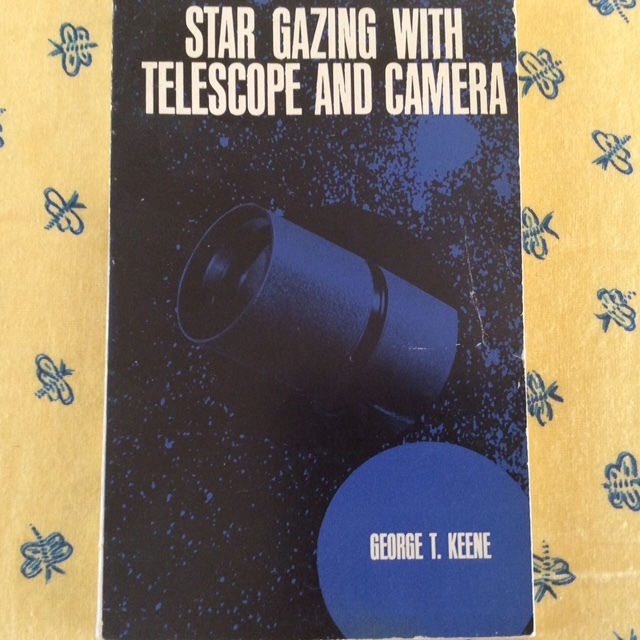 I still enjoy reading thru Keene’s book Stargazing With Telescope And Camera. when I moved in 1994. When I was younger, I would take home Telescopes for Skygazing from the public library. I had to be careful not to drool all over it. I bought my copy new from the book rack in a camera store over fifty years ago now. Still on the trail of more about Dr Paul, but the project to get the scope restored is now going as well. 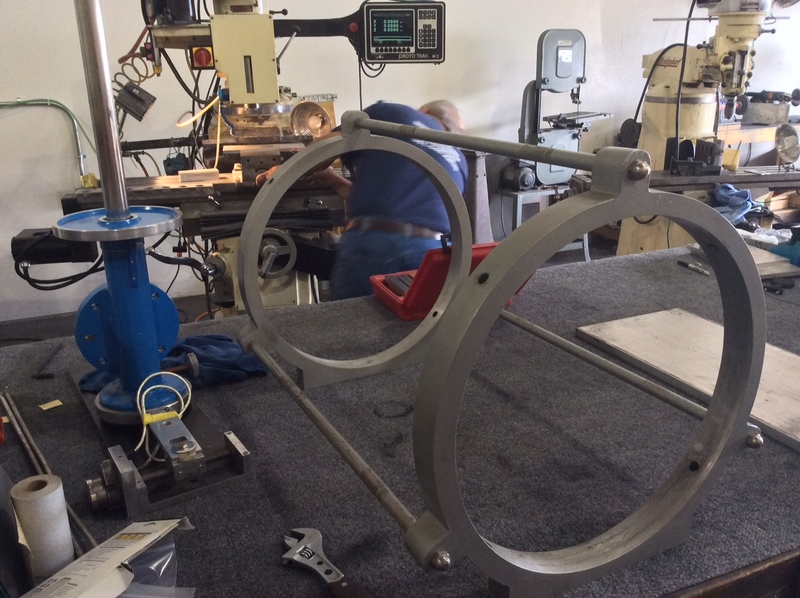 It began with my friend Larry Myers (who owned Mountain Instruments and made MI-250 mounts) helping make an adapter plate to mate the Cave/Paul to the Schaefer mount. 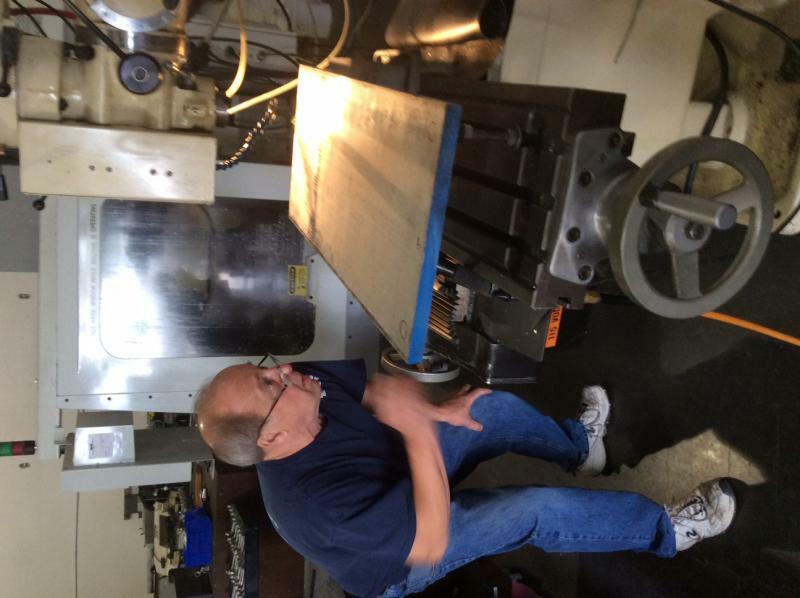 Larry has tons of experience, knowledge and machinery. Edited by ltha, 18 June 2018 - 11:26 PM. Larry has a lot of nice toys. I would love to play in his shop! I loved that book! I got it with my 3” Edmund Space Conqueror, so it must have been around 1962/3. That was my “telescope bible” for the next 10 years. I noticed they are all wearing glasses. Started matching parts to existing holes yesterday. Larry Myers, who is helping with this project, just completely restored a 10” f/6 Cave and it is absolutely beautiful! 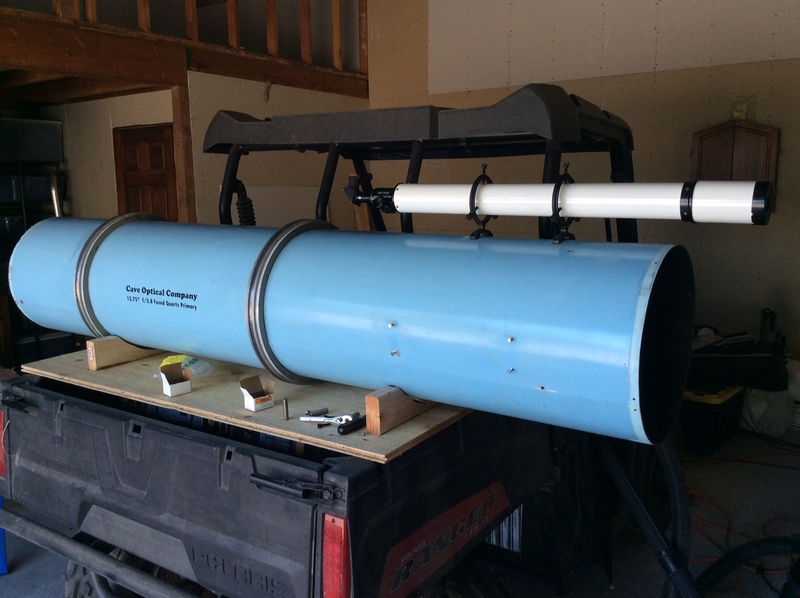 Right now the plan for the Paul scope is to get it up and running for Mars. I have had a Unitron 60mm here and figure it ought to have a new home. 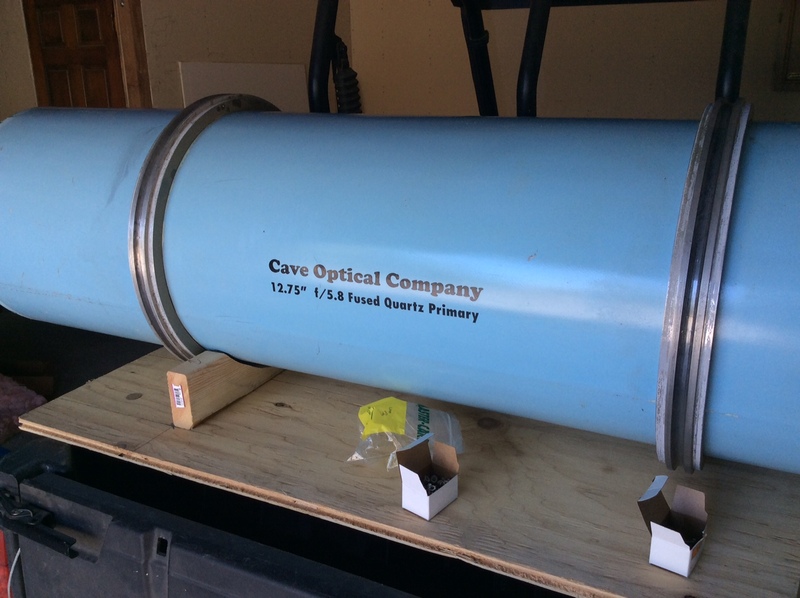 A bit longish, but looking back at old Cave catalogs and various pictures there are plenty with the “guidescope” extending beyond the main tube. I used original holes but will be filling them in and adding new ones spaced further apart. Or may just add a telerad though the 60mm guidescope is period correct. 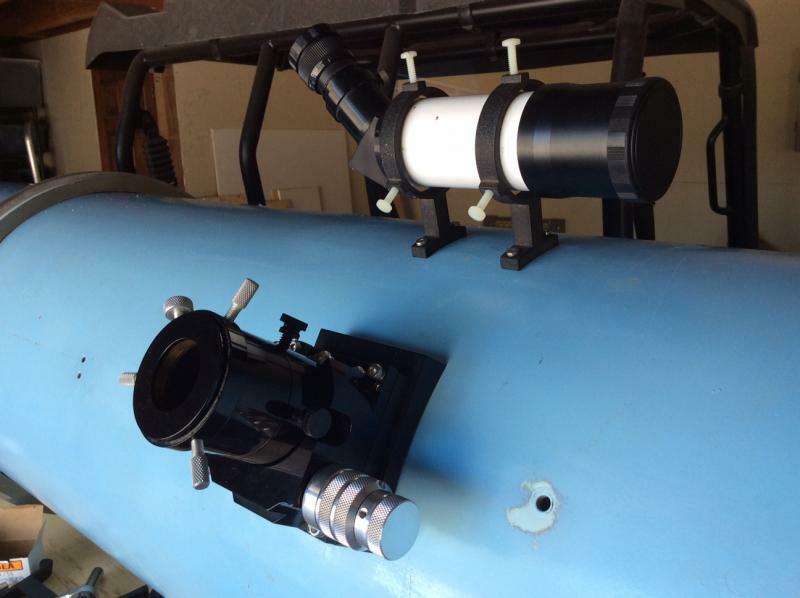 The scope as delivered to Dr Paul had a 1.25” SkyMicro focuser. Someone added a 2” but did a crappy job of opening up the tube for the larger focuser. I have had the Moonlight here waiting for this project and mounted it yesterday. Still need to do a bit of fiberglass work and some bondo patching. My thought at the moment is to have the tube powder coated white as the baby-blue and Cave decal are not original. Edited by ltha, 22 June 2018 - 09:21 AM. Focuser and finder. 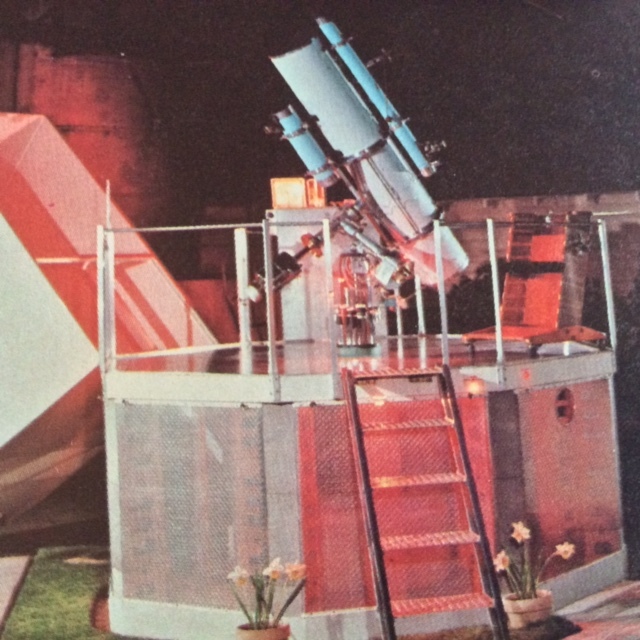 As I was cleaning the finder I wondered how many times Dr Paul took it apart, why he chose this one vs straight through, and how many of the big guns in amateur astronomy had a chance to view through the scope. No question George Keene and Niles Root were among them. No idea who added the decal or had the tube painted blue. I agree with going back to the original white for the tube. Well for "more information" if you take the subject seriously the answer lies in contacting the Palomar Observatory and/or CalTech and find out if they have archives, which they almost certainly do. I'm a member of the board of the Dudley Observatory which was mainly a 19th century and early 20th century operation and *we* have archives for the activities of our humble scope. An international observatory run by a premier international technical school would have extensive archives. What's in them is anybody's guess. Be prepared to go to CA and spend some time. I communicated with E. Ken Owen in the early 70's. He answered whatever question I asked and sent me photo's of Mars and Saturn. They were the best non professional pictures of these two beauties that I'd ever seen. His 10 inch inspired me to buy a Cave 10 inch. Sure wish I met the guy. I would really appreciate any Bio info about E. Ken Owen. Must have been or still is an interesting guy.